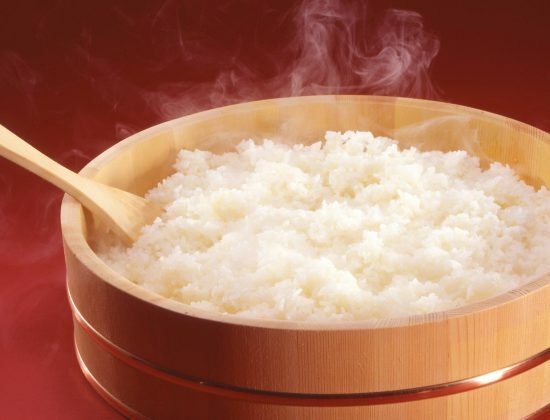 The most delicate part of preparing sushi rice is blending the cooked rice with vinegar. This blender is fully automated, making it easy to guarantee perfect results. Blends the rice and vinegar like an experienced chef without damaging the rice grains. Simultaneously aerates and mixes the sushi rice so it is cooled and mixed evenly. Dispenses sushi rice automatically when mixing is complete. High grade non-stick resin eliminates need for Teflon coating. 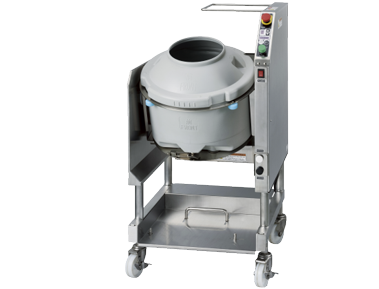 Drum parts (drum, lid, and agitator) can be disassembled in seconds for easy handling and cleaning. *Dimensions do not include small bumps and bosses. Approx. 5 - 7 minutes to mix and dispense automatically.